We’re less than a month away from Avengers: Endgame, where we’ll finally see how Wong, Okoye, and Ant-Man take down Thanos and save the universe. While most of the film’s plot details are-- understandably-- kept under wraps, we can have our own adventures with Earth’s mightiest heroes thanks to the fine people at LEGO. Today they have announced five brand new sets from the highly-anticipated movie, and there’s some great stuff here. 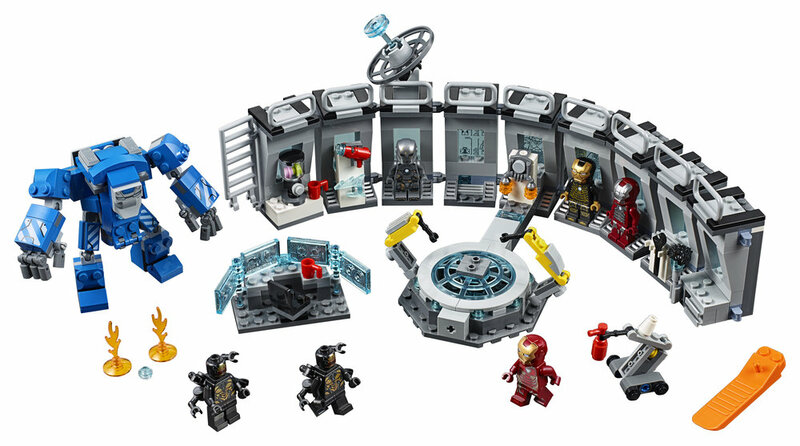 Dig Iron Man’s “hall of armor,” and that War Machine Buster suit is amazing. Could these actually be film spoilers? Who cares? They rock, and they’re out now, so go get yours, true believers. • Detach the blasters and put them in Captain America's hands ready for battle and imaginative play. 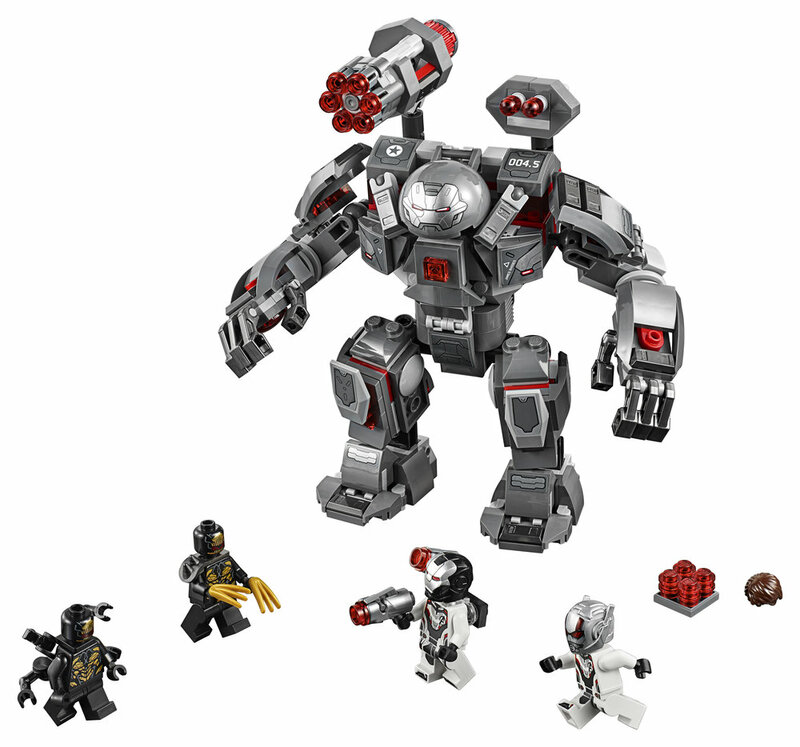 • Detach the stud-shooting cannons and place in the War Machine minifigure's hands and on his shoulder. 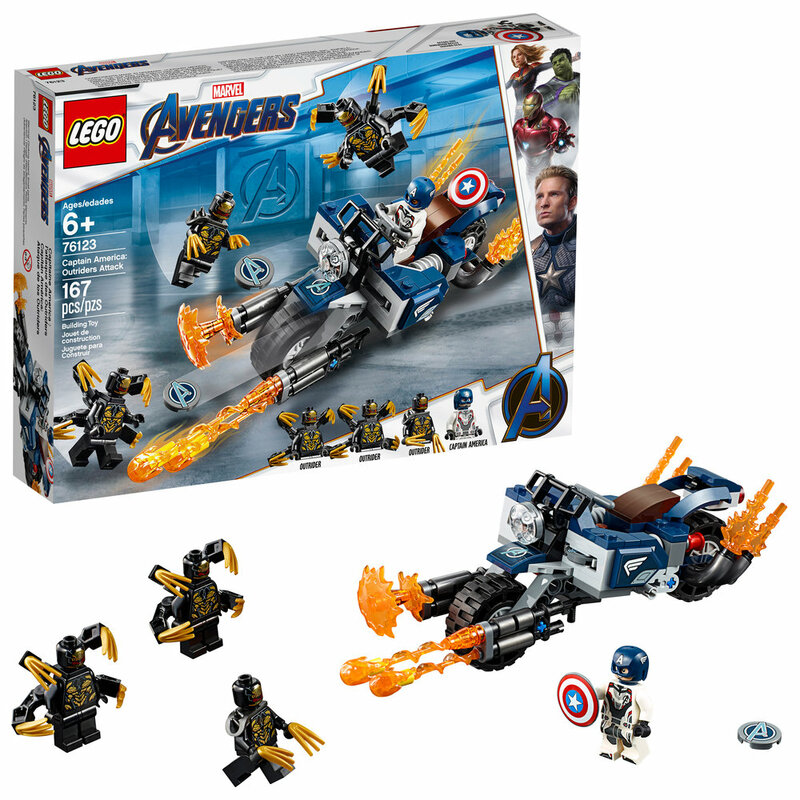 • The War Machine and Ant-Man minifigures in this LEGO® building set for kids feature new-for-March2019 Avengers team suit decoration. • Iron Man lab measures over 5” (13cm) high, 13” (35cm) wide and 6” (17cm) deep with modules in standard formation. Construct the awesome Avengers HQ and fend off intruders! Team up with Iron Man, Captain Marvel, Hulk, Nebula and Ant-Man and defend the Avengers’ compound! Make plans in the office and grab weapons from the table’s secret compartment. Monitor Thanos and the Outrider’s approach to the Avengers HQ with the radar, then speed into action. Activate the rooftop defense system. Target the Outrider with the offroader's dual stud shooter, then launch the Avengers' helicopter and fire its rapid shooter! • The office building features: 2 Avengers ‘A' logo elements on the exterior wall; rotating, tilting springloaded shooter on the rooftop; lower level with an entrance, buildable rotating computer and a ‘laserbeam’ safe; and an upper level with a meeting room, table with secret compartment, rotating door leading to the helipad and accessory elements including 3 chairs, 2 guns, 3 cups and a jug. • Offroader features a minifigure cockpit and rotating turret with dual stud shooter and standing room for a minifigure. • Weapons include Nebula's sword and Thanos's buildable, double-sided battle axe. All sets are available today, April 1.